Hollywood Park Real Estate, find homes for sale in Hollywood Park with the San Antonio Premier Group. Nestled in the Hill Country foothills in North Central San Antonio 78232, the Town of Hollywood Park Real Estate provides country living just minutes from downtown San Antonio. Homes for sale in Hollywood Park have easy access to HWY 281 and Loop 1604. The Town of Hollywood Park was incorporated December 7, 1955, following an election held in October, 1955, under Title 28 Revised Civil Statutes of the State of Texas, as a General Law City. The Town of Hollywood Park has a population of approximately 3,000 residents. The Town's population is a diverse mix of doctors, teachers, businessmen, active and retired military personnel, lawyers, retirees, and young families just starting to grow. Homes for sale in Hollywood Park are part of the North East Independent School District and are serviced by Hidden Forest Elementary School, Bradley Middle School and Churchill High School. Contact the San Antonio Premier Group for more information about homes for sale in Hollywood Park or homes for sale in North Central San Antonio at 210-818-0669. 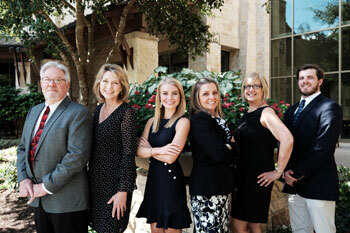 Let the Premier Group help with all your San Antonio Real Estate questions. *Are you selling your home in Hollywood Park? Find out the current value of your home.